As travelers, one thing that we are always waiting are promos. We try to subscribe or follow to those airline or travel agencies´ websites or social media accounts so we are always updated to their promos. And sometimes, we spend the whole night waiting to book a flight. On the other hand, some goes in the office of the said companies early in the morning just to avail the promos. 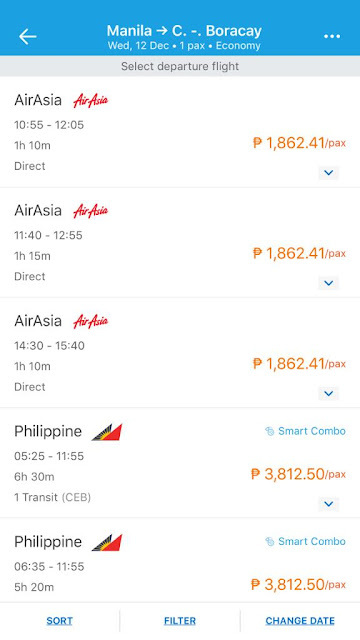 But on this blog, I will show you how to get the lowest price for your airfare and accommodation anytime! You will get different types of discounts or vouchers anytime you want. Travelling is cheap and will never be so expensive, so I hope you can now go to your dream destination. 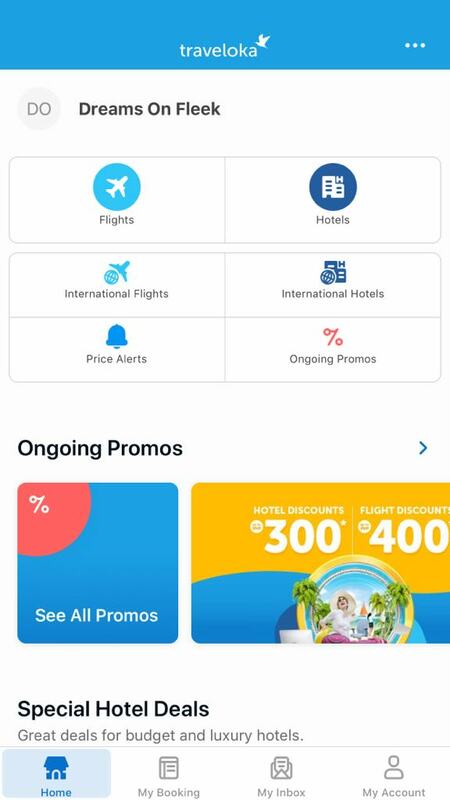 Traveloka is an online travel company where to can get discounts. You can visit their website https://www.traveloka.com/en-ph/ . You can also download their app on Google Play Store or iTunes App Store. By downloading their app, you can get an exclusive promo code for your first time booking. So here I attach the photo of the app when you search it on App Store or Google Store. 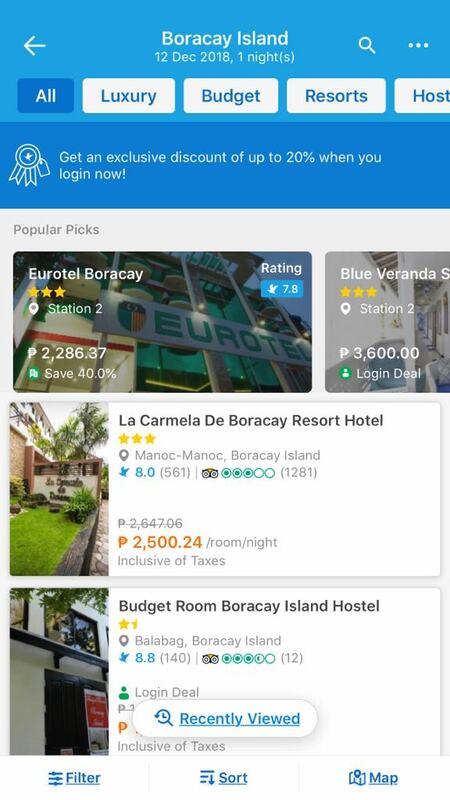 The name of the application is ¨Traveloka Book flight and Hotel¨. You can also see the logo of the company so you will not get confused to some other app. 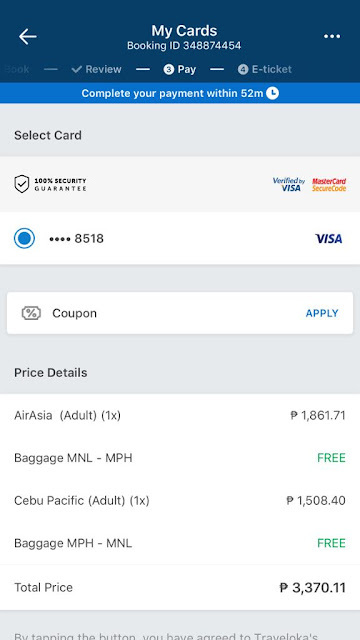 While watching vlogs on Youtube, I learned about this website or mobile application where you can get different promo codes for your flights and accommodations. 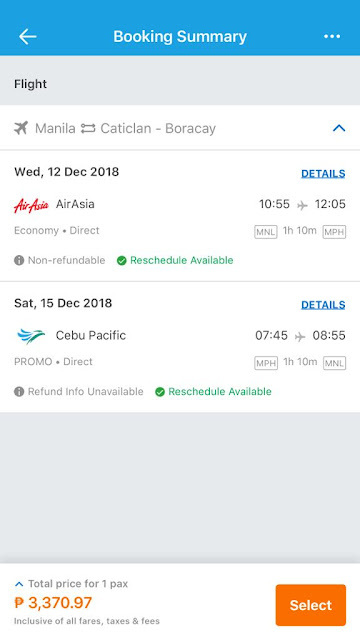 But take note that it is only available is some countries in Southeast Asia such as Indonesia, Malaysia, Philippines, Singapore, Thailand and Vietnam. First, you need to open their mobile application. 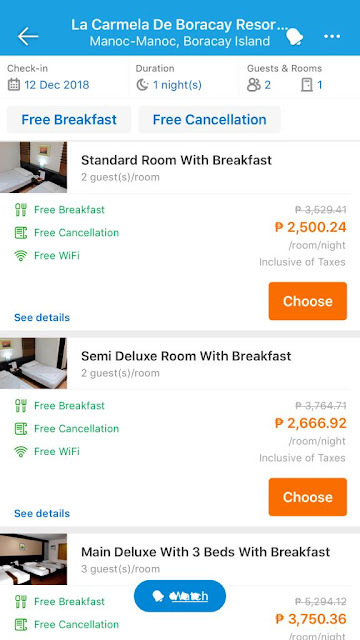 You just need to decide what you are going to book, either a flight or a hotel. You can also choose either it is local or international. On their main page, you can see the alerts and on going promos that they always have. You need to fill-up the details of your desired flight. Tap the blank of origin to choose where you are coming from. 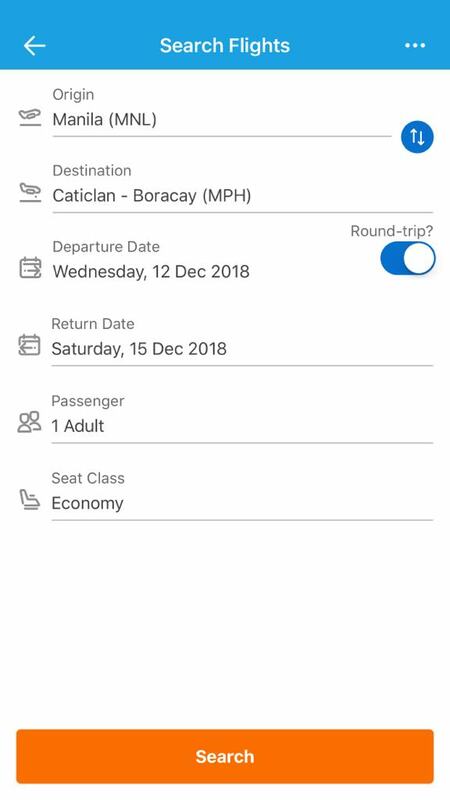 Then tap the blank of destination to choose where you are going to. Then set the dates of departure and return. Mark the number of passenger and the seat class that you want. 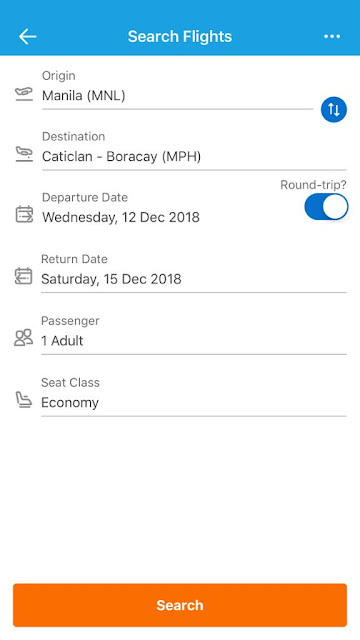 Now you will see the available flight for your designated destinations and date. You just have to choose the time and the price that is the best for your preferences. After booking, you will proceed to filling up the for of your personal informations. Kindly take note that the details such as names and birth dates should be the same as your passport or identification card. After filling up the informations, you will proceed to reviews so you can double check all your details and contact number. It will process and when everything is ready, you will get the voucher as confirmation. 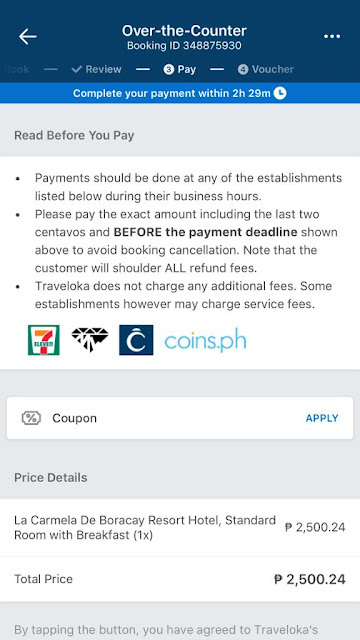 You can also receive a text message or email from Traveloka. It is almost the same as booking your flight. Just go to their website or app. Fill up the details. Type your destination or if you are already there, you can search the hotels near you. Mark the check in and check out dates. As well as the number of guests and rooms. You can also mark your preference in the price and star of your preferred accommodation. You can now see the list of accommodation in the specific area. You can filter this list by clicking the filter on the left down corner. 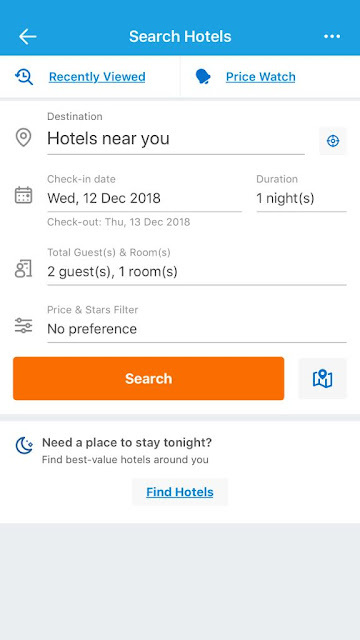 You can filter by the price range per night, star rating, facilities that you will be needing, accommodation preferences and types, and landmark. You can also sort it by highest popularity, lowest price, highest price and highest rating. 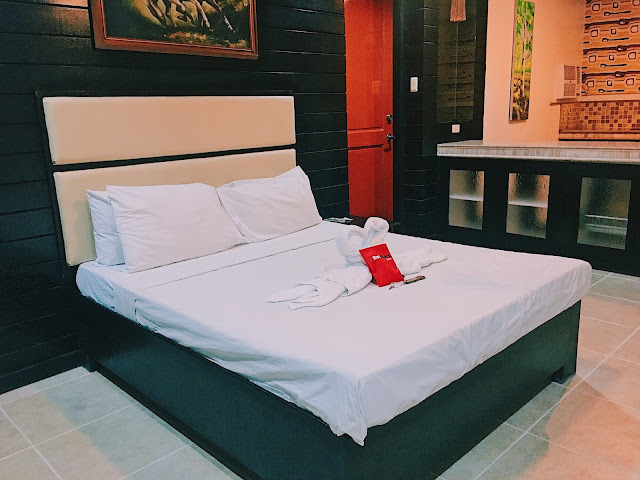 After choosing the best accommodation for you, you now need to choose the type of room that you need. Take note the prices are depend of the type of your room. 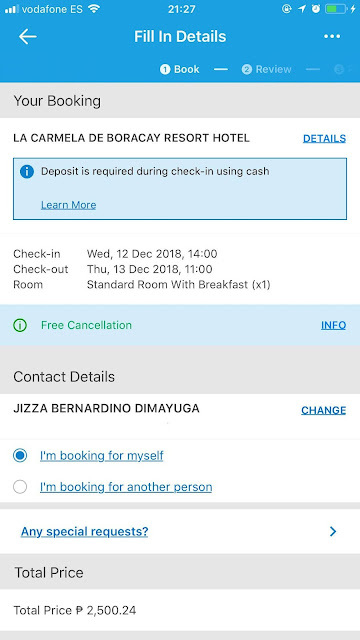 Just like booking your flight, you also need here to fill-up your personal informations. You can also book it for another person, you just need to put his personal details as well. You will now have the booking reviews. You can double check that the check in and check out date are correct. As well as the type of room. 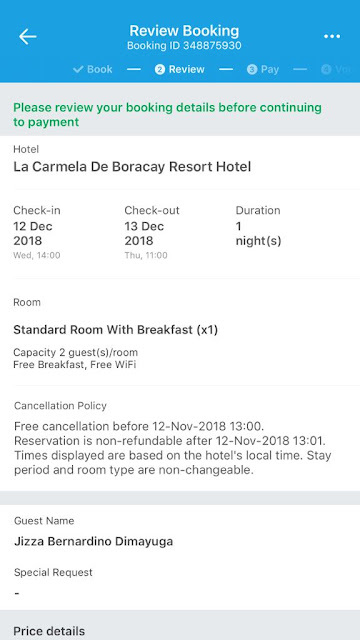 You also better check the cancellation policy. And lastly, your personal information and the price details. Lastly, the payment section. There are a lot of way for payment. This is an example, over-the-counter. You can pay in 7eleven, M-Lhuiller, Cebuana, or coins.ph. Take note that you can only pay for specific time. Here is also where you can put your coupon for discounts. You can finalize this last step then you will receive your voucher or confirmation of your booking. Everyday, exactly 365 days, they have promos for you. Unlike other travel agencies that you need to wait and it is only limited for some days or number of applicants. You will be able to see their ongoing promo on their main page then click ¨promos¨. You will see the list of promos they have for you. Take note that promos can varies depend on where you are from and places you are going to visit. Oh wow!!! I have a few friends that have some trips planned this year - I'll be telling them about this app! That's so cool. 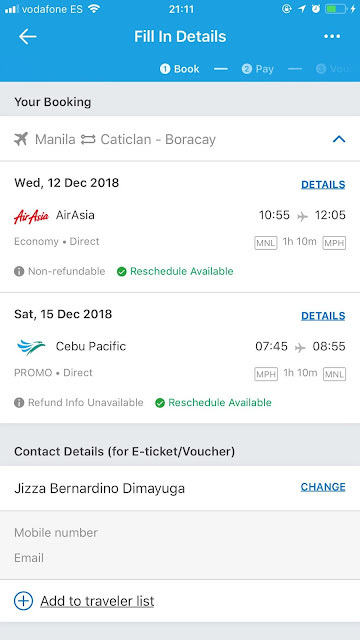 I have to check if there is a cheap flight for Batanes. Wow very informative post I wish I could rewind time to take advantage of this knowledge before my past flights. These are great tips, and very useful for me as I'm a constant traveler! Thank you! Wow, I could have used this on our family vacation. Thanks for sharing ill know about this for next time. thanks for updating us about this. i would love take advantage of this service. Whoaaa.. this is so amazing. Thanks for sharing this. Will book my next holiday with this!! Bookmarking this for future reference. My husband and I would be traveling soon so it would be nice to get good deals. I’m looking to travel more so I definitely needed to see this. Great post. 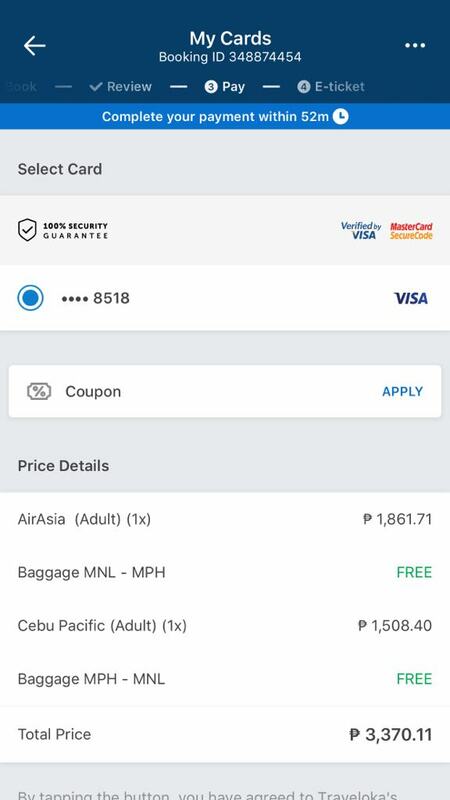 This seems like a great guide for discounted airfare for travelers and those who want to travel once in a while. I was a long term traveler for years and I wasn't aware of some of these apps. Thanks for putting them together. My favorite way to fly cheap is with credit card points, it's particularly easy if you use a credit card for business. Great tips, I have a few years left till I start traveling. I can't wait! I will be using all these tips! Awesome guide, this can be useful for people who have travelling hobby using planes. Thank you for share. What an incredible tool to have available when planning your next vacation. It's too bad that it's not available in more locations. I'll be saving this for use in the future - Thank you! I didn't realize there was such helpful apps like this one for planning! I'll have to keep this in mind for future vacations. Flights especially can be tricky and torturous to find. This seems to be a really good up for booking trips. I will definitely save it for when my next trip comes along. Thanks for sharing it! Such great advice and tips - will be saving for when booking my next trip! 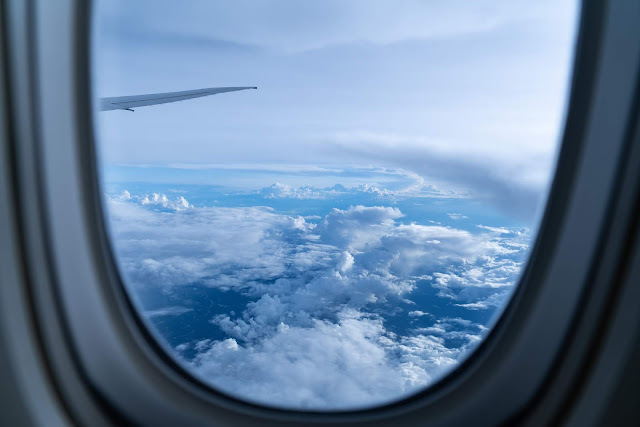 Now and again there are a minute ago arrangements, yet as a general rule, you will locate the best arrangements something like 21 days before your takeoff date.